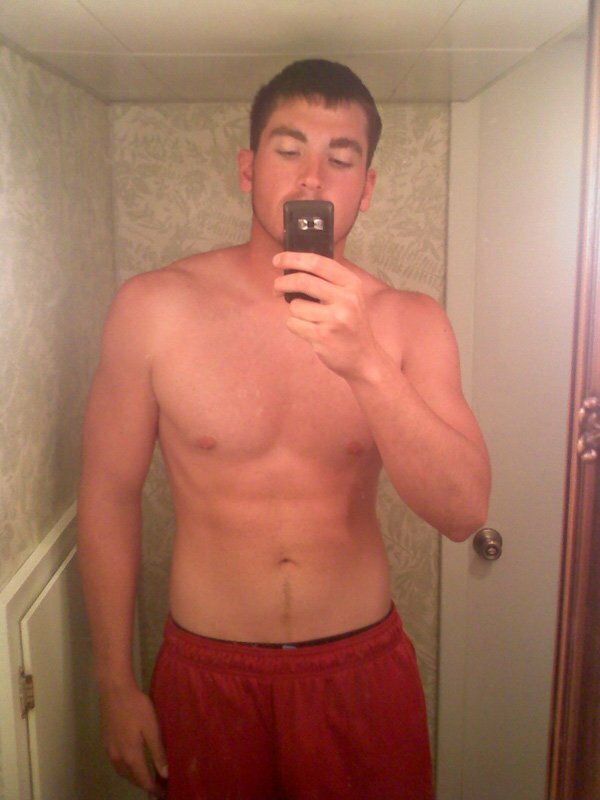 Ryan Wahl Shed 60 Pounds And Lowered His Body Fat! Ryan Wahl was unhappy with his appearance and lifestyle so he decided to make a change. 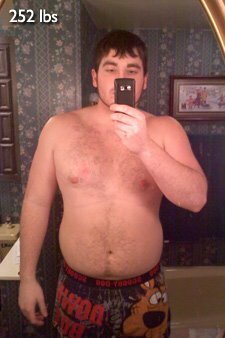 Read on to see how he shed 60 pounds and changed his body! I was fairly athletic in high school, playing defensive end and offense tackle on the football team as well as lifting regularly. Upon entering college I lost my focus on lifting and began spending my time partying. It all started in January of 2010 while I was brushing my teeth after waking up from a long night of drinking and was disgusted with myself as I was watching my fat body sway side to side in the mirror with every brush stroke. It was at that moment that I began looking into getting back in shape. I Began Looking Into Getting Back In Shape. I began lifting at the 2-year college where I&apos;m currently enrolled immediately after class the following Monday. I began lifting every day after class 5 days per week. I worked out every single body group every day, including running a mile every day. I quickly began losing fat, but my strength did not increase much. In fact, after two months of following that routine I was getting frustrated with my slow results. Needless to say, my high school workouts were not working. During the beginning of March I ran into one of my friends, Hank, who has been into bodybuilding for several years. He introduced me to 3-day work outs and staying moderately active on my "off" days. I soon began seeing better and faster results with a shorter work out and fewer days in the gym. The theory behind this is that any particular muscle group on average takes about a week to fully recover from a lift. By working out only certain groups once per week I finally began to allow my muscles to make a full recovery. Dieting is important. In the beginning I was basically starving myself eating almost strictly protein, with little carbs and almost no fat. I soon learned how protein, carbs, and fats are all important to weightlifting. Eating several small meals throughout the day is the best meal plan for me to see results, but it took some planning to achieve this goal. I purchased a small cooler that I put in my car so that I could take small packed meals with me everywhere. Every night I would pack whatever meals that I would need to take with me the next day. My biggest motivators were my before and after pictures, as well as viewing other members on BodySpace who had transformed their bodies. BodySpace member Antonio Wright&apos;s progress pictures were inspiring to me. His photos allowed me to set realistic goals for myself. 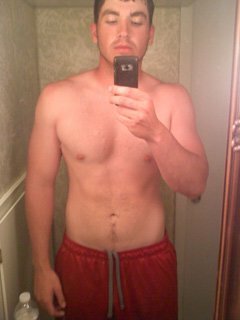 My Biggest Motivators Were My Pictures, As Well As Viewing Other Members On BodySpace Who Had Transformed Their Bodies. Note: I take the Higher Power Micronized Creatine in cycles. I will take 2 servings, one in the morning and one at night, for the first 21 days of each month. The remaining days I do not take any. Not breaking diet is the key to building muscle and burning fat! I avoided nearly all junk food for the first 6 months or so before I became comfortable with eating junk foods in moderation. Ice cream is my weakness. If it is a lifting day I would also drink a protein shake and a slice of wheat bread about an hour before my lift, followed by another protein shake right after my lift. The only liquids that I consume are water and milk. On an average day I would say I consume ¾ of a gallon of water and a little bit less than a half gallon of milk. Occasionally I may drink some kind of juice, such as cranberry, apple, or orange. Drinking alcohol and weightlifting do not mix. A 3-day per week work out is what I&apos;ve determined is best for me. I super set during all of my lifts as well. On my "off" days I do stay active. I fish a local river almost every day and walk about a mile or so in the wilderness almost every day. Taking before and after pictures have been my biggest motivator. Also, be patient when anticipating results. 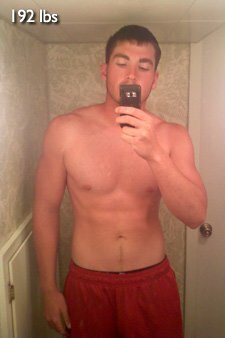 I took pictures once every week and it was nearly 10 weeks before I saw any major changes. The changes will come, just stick to your diet and work out with enthusiasm. Proper form is also very important. Using a lighter weight with perfect form will yield better and faster results than by using a heavier weight with poor form. Don&apos;t give up!